Our small business SEO services focus on: Developing a Local SEO strategy, Implementing the foundations of the plan, and focus on creating content that appeals to the target market. Our WordPress expert team of Website Developers & Digital Strategists employ cutting-edge technology & best methods to create custom websites that boost your user engagement. A brand is what your consumers remember you by, it compels to the hearts of your clients and helps grow the brand market reach. Reputation management is a key factor in online success. Our PPC advertising services allow companies to create ads and target specific clients to generate more leads and sales. First impressions are crucial for any E-commerce website, exceed your online customer experience, and you’ll drastically increase your ROI. We help companies better utilize social media marketing for customer engagement. Social media and PR strategy for brands and corporations. We focus on your business’ goals then we develop a marketing plan unique to your business. We put the plan in motion and build your organizations digital marketing strategy. We Customize digital experiences to engage. Our focus is to help your business grow. The strategy is different for every business since every company is unique. We focus on solutions to attract and convert leads, decreasing customer acquisition costs, and we work hard to meet your business’ goals. We know the value of your time and budget. Planning, Researching, and Tracking are essential for every project. We’re a team of artistic, business-oriented people who’ve come together to help you reach your goals and deliver results. We’re your marketing department, we’ll take care of all your digital marketing needs. You focus on taking care of your customers and clients. 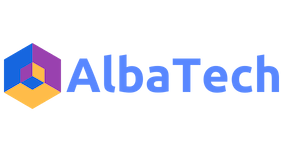 I started AlbaTech as a hobby back in 2006, after I build a few websites for my friends and relatives. I enjoyed the process and seeing the finished products. My work has taken me to various places around the US and the World. I love helping small businesses build their online presence. We incorporate the best aspects of medium and small boutique marketing agencies to create a unique ROI focused service for our clients. Unlike cookie-cutter digital advertising agencies, we customize each client’s marketing strategy based on your business goals. Our prices are fair and lower than larger advertising companies, and you’ll get a dedicated project manager for your company. At AlbaTech Services our goal is to become your online marketing department and work side by side with you. We use the same world-class tools and poses the same diverse skill sets as any big internet marketing agency. Often you are lured in by big brand agencies because of their flashy designs and “connections”. Beware though, you will not get the dedicated support you are seeking. Big agencies have a classic bait-and-switch technique when it comes to smaller clients. They bring in the clients (you) and then they’ll have an intern doing all the work, which leads to mediocre marketing results. Your brand is unique and deserves a dedicated team. With Albatech, you’ll have the same team from the beginning of the project all the way through its maturity. Local Marketing is vital for your business’ survival. Fun Fact, 46% of all searches on Google are local. If you’re a local company and you don’t have all of your local marketing factors in order, you’ll be missing an opportunity every single time someone is searching for your services or products online. And that’s a lot of opportunities you’re missing on! Nearly 58% use their smartphones daily to search for a local business, and about 89% search once a week.